Can You Become Addicted to Adderall? Resource center Can You Become Addicted to Adderall? 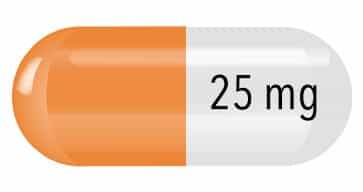 Adderall (or Adderall XR) is the brand name for a combination of amphetamine and dextroamphetamine, both of which are drugs that are classified as central nervous system (CNS) stimulants. What Are the Long-Term Effects Adderall of Use? Adderall is prescribed for the treatment of ADHD and for narcolepsy. Adderall or Adderall IR is an immediate-release drug, meaning that the entire dose of the drug is administered at once upon ingestion (the effects typically last 4-6 hours), whereas Adderall XR is an extended-release version of the drug (the dose is released over time and effects last for about 12 hours). The extended-release version was developed to forego the need for people with ADHD to take the drug 2-3 times daily. Any form of Adderall is a Schedule II controlled substance, meaning that it cannot be obtained without a prescription from a physician and that when the prescription is to be refilled, it must be called in again by the physician. According to the United States Drug Enforcement Agency, the drugs classified in this category have a high potential for abuse and their abuse can lead to severe psychological or physical dependence (addiction). According to psychiatrist Steven Stahl, MD, the author of Stahl’s Essential Psychopharmacology, when ingested, amphetamine drugs like Adderall result in neurons releasing the brain chemicals (neurotransmitters) norepinephrine, dopamine, and epinephrine in the CNS (the brain and spinal cord), and it is believed that norepinephrine is also released outside the CNS in the peripheral nervous system. The effects of the drug depend on the amount taken and the method in which it is taken (for example, the effects of the drug occur much quicker and may be more intense if one inhales or injects it directly in the body as opposed to swallowing it in pill form). Can a Person Become Addicted to Adderall? The short answer to this question is yes. The term addiction has traditionally referred to a compulsion to continue using a substance despite the negative consequences associated with its use. This compulsion can be driven by physical factors, psychological factors, or a combination of both. However, the term addiction has been replaced in clinical diagnostic literature by The American Psychiatric Association by the term substance use disorder, which includes both aspects of the traditional notion of addiction and substance abuse. No matter how one phrases the terminology, Adderall has a serious potential for misuse and addiction. Some sources claim that addiction to Adderall is primarily psychological; however, it can have a strong physical component as well. Since Adderall contains amphetamine, it is not unusual for a person to develop tolerance to the drug very quickly. Tolerance is a primarily physical process where a person requires higher doses of a drug to obtain the same effect they experienced from lower doses. The other physical aspect of addiction is withdrawal. Withdrawal occurs when one has become physically dependent on a drug and experiences symptoms that occur when there is an abrupt discontinuation of the drug or a decrease in intake of the amount of the drug one takes. Many of these symptoms are immediately reversed when the person begins taking the drug again. Thus, the cycle of tolerance and withdrawal can potentially create a cycle of drug use, trying to quit or cut down, followed by even heavier usage. Many individuals who abuse Adderall or other amphetamines may also have a co-occurring mental health disorder, such as depression, bipolar disorder, anxiety disorder, or other substance use disorder (e.g., alcoholism). People who take medications as part of treatment for a medical condition are typically prone to developing addictions to the medications they take; therefore, people who take Adderall for ADHD are at high risk to develop an addiction to it. However, if the drug is treating a medical condition, physicians and others will tend to overlook any physical dependence on the drug in favor of its therapeutic benefits. Nonetheless, it is possible for an ADHD patient to begin to abuse Adderall, and some of the criteria mentioned above could be used to determine whether a person is engaging in normal therapeutic use or abusing the drug. People who have ready access to the drug, such as friends and relatives of a person being treated with Adderall, are also are more prone to begin abusing it and to develop addictions to the drug. In addition, people who work long hours and are looking for a “pick-me-up” for energy, people who have an existing psychiatric diagnosis, people who have other addictions, and students appear to be more prone to develop addictions to amphetamines like Adderall. Abusing stimulant drugs like Adderall has become popular in high schools and colleges in recent years. Drugs like Adderall are typically ground into powder, snorted, and used in an attempt to stay awake for long periods to study or party. According to the National Survey on Drug Use and Health Report, in 2006-2007, fulltime college students were more than twice as likely to abuse Adderall compared to their non-college peers. Moreover, the vast majority of college students who engage in nonmedical amphetamine use were significantly more likely to abuse alcohol and use tranquilizers. Mixing different amphetamines can result in the effects of the drugs being enhanced and can lead to potential issues with overdose. The result can even be fatal. Using alcohol or tranquilizers with amphetamines can result in one class of drugs masking the effects of another, which can result in serious health risks. Mixing alcohol and/or tranquilizers and/or amphetamines can also be fatal due to cardiac arrest, stroke, or respiratory suppression. Preventing abuse of Adderall is the most effective treatment. When one has a relative or child who takes Adderall for medical reasons, such as ADHD, it is important to monitor its use and keep it in a safe place where others do not have access to it. A person should never abruptly halt Adderall because of the potential for withdrawal. If one wishes to stop taking Adderall, it’s important to consult with a doctor first. Oftentimes, dosages are tapered down slowly to avoid an intense withdrawal process. Behavioral therapies, such as talk therapy, group therapy, and support groups, are recommended for treatment of Adderall addiction. These approaches attempt to identify the root causes of a person’s addictive behavior, to address those issues, and learn to function and cope without using drugs. Thus, these types of therapy should be catered to the specific needs of the person. In some cases, inpatient treatment may be necessary – specifically, a supervised medical detoxification program followed by therapy.